Many Americans struggle with their weight, and shedding pounds can be difficult for even the most determined dieters. Even when we succeed at losing weight, most of us encounter difficulties when trying to keep the weight off. But why is it so difficult to lose the weight and keep it off for good? It’s because losing those unwanted pounds is about more than just healthy eating and regular exercise. To truly achieve lasting weight loss, we must win the battle we fight with our brain when it tells us to eat, eat more and eat high-calorie foods. While dieting, a piece of cake or a slice of greasy pizza always tempts us, and when this feeling comes is hard to resist. We blame ourselves when we succumb to our cravings and feel like failures. While no magic pill can cure every craving or make us automatically lose weight, there are some excellent essential oils that can support a healthy weight and help reduce cravings. Aromatherapy triggers areas in the brain that can have a powerful effect on our ability to feel energized, sleepy, peaceful — or full and satisfied. Just like when you smell something cooking on the grill, and it makes your mouth water, essential oils can have a significant impact on our bodies and minds. Fortunately, not all smells make us hungry. Some have the power to appease our hunger, thereby and fortifying our will-power during the weight loss process. If you are on a weight loss journey and ready for some help, check out these essential oils that can curb cravings and promote a healthier body weight. There’s nothing quite as uplifting as the scent of refreshing peppermint, and it has been used for centuries to promote a healthy digestive system. But this stomach-soothing herb also has the power to curb hunger. A 2008 study showed that participants who inhaled peppermint essential oil once every two hours experienced less hunger and fewer food cravings than those who did not inhale peppermint. Throughout the day, the caloric intake was also lower, and overall the participants lost more weight. You may have heard of the grapefruit diet from the 1930s that was made popular by Hollywood starlets. Fortunately, you don’t have to go to those extremes to reap the waist-slimming benefits of grapefruit. Extracted from the grapefruit’s rind this essential oil contains a compound called AMPK that helps the body to use up sugar and stored fat. If you suffer from emotional overeating, the scent of grapefruit essential oil has the power to uplift and brighten your mood, which can reduce many food cravings. Eucalyptus has an overpowering powerful, crisp scent that is both refreshing and relaxing. It can help reduce stress and boost energy while reviving the mind. When we are under stress, we tend to overeat and often gain weight. The next time you are feeling under pressure, try inhaling some eucalyptus essential oil to feel both invigorated and relaxed. You might find you don’t need that afternoon brownie after all. Ginger has long been used to help promote a healthy digestive system and can assist in better absorption of essential nutrients. Besides, studies have also shown that a compound found in ginger called gingerols can decrease inflammation in the intestines. Consuming ginger also helps a dieter to get more of the vitamins and minerals they need to support cellular function. So, if you are struggling with unwanted belly fat, ginger will also increase your energy and help you in your weight loss journey. A study from 2004 showed that ginger has the power to suppress cortisol, a stress hormone that can cause the body to hold onto stored fat around the abdomen. Like grapefruit, lemon essential oil comes from the rind, which contains many weight-loss-promoting benefits. One study found that combining lemon oil and grapefruit oil helped to break down body fat. Its bright, uplifting aroma can put you in a good mood while promoting healthy intestines and improving digestion. We often use food to help us feel better when we are stressed or sad. Bergamot essential oil helps to ease negative feelings and lifts your mood. Bergamot smells sweet and is a well-known mood booster that contains polyphenols, like those found in green tea, which can help promote a more active and healthy metabolism. So, next time you feel like reaching for that box of cookies when you are having a bad day, just inhale some bergamot. Fennel has an earthy, sweet scent that can help prevent cravings for sugary foods. It’s also great at promoting healthy digestion, and the melatonin found in fennel helps regulate sleep cycles. Melatonin can also have a positive effect on weight loss efforts by allowing the body to create fat, which gets easier burned than stored, according to a 2011 study. Before a meal or when you feel a food craving coming on, the easiest way to use essential oils is to inhale a few deep breaths of the oil from the bottle or a cotton ball. You can also use them in a diffuser any time of the day to stay relaxed and at peace or around meal times to get your mind off unhealthy foods. A nice hot bath with a few drops of oil is an excellent alternative to a sugary dessert and can help you stick to your daily eating plan. 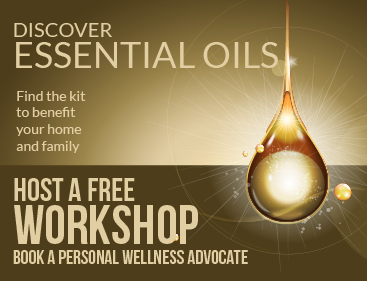 Quality essential oils are considered safe to use, though some people may experience an allergic reaction. Always dilute essential oils before use and do a skin patch test on your arm to make sure your body won’t react negatively. It’s important to make sure that the essential oils you plan on buying are labeled “therapeutic grade” and come from a reputable source. In the end, the purpose of using these oil is to have chemical free products which will help you improve your overall health. At the end of the day, the best way to keep our weight under control is to develop a lifestyle that includes a balanced diet and regular exercise. There is no right diet plan for everyone or one specific product that will help everyone lose weight. Experiment with essential oils that you find pleasing and pay attention to what works for your unique body. Join the “Moose is Loose” tribe and receive health, fitness and wellness tips to keep you motivated, educated and inspired… and it all starts here! Stop making excuses for not having a gym or access to equipment, get the free e-book now!